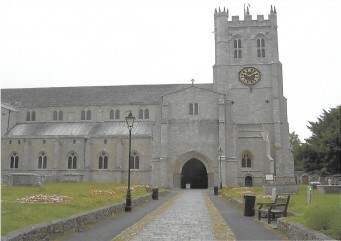 The Christchurch History Society has in excess of 20,000 items of archival material in its Archive held in The Porch Room at Christchurch Priory, and is very keen that it is used by both Members and Non-Members to provide the widest possible range of information for local enquiries and research enquiries. 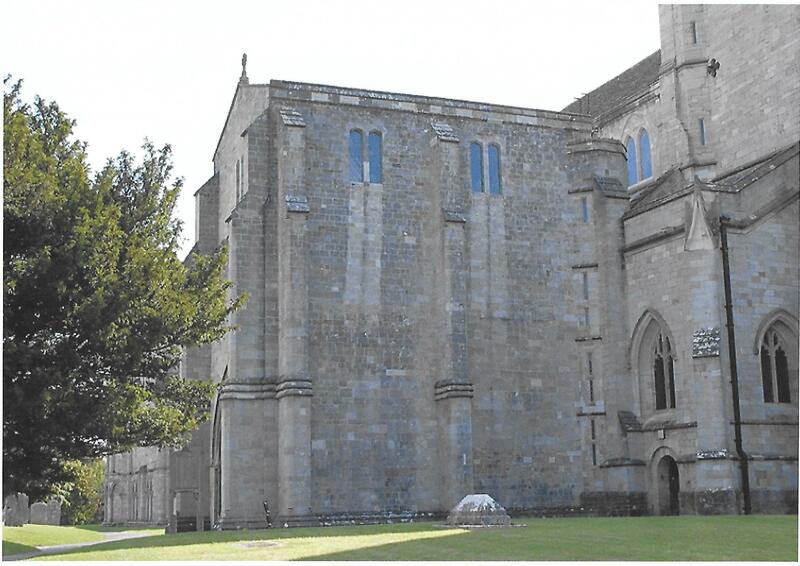 The Porch Room is above the north porch of the Priory and contains a lofty chamber with a floor area of approximately 59 square metres, probably originally the muniment room. A muniment room is a storage or display room where pertinent historical record documents, such as a title deed or a charter, by which rights or privileges are defended or maintained are stored. This seems a fitting location for the Christchurch History Society Archive. The Society has a group of experienced volunteers who are keen to carry out research on behalf of any enquirer. Welcome to the Catalogue of the Christchurch History Society Archive. Here you can search or browse through the Society’s collection. By following the Step by Step Guide to searching the archive you will come to a screen that gives the information on the item for which you have searched. If you wish to visit the Archive Room and view any records that you have located by using the on-line catalogue please download the Visit Application Form and enter the Reference Number and, if a digital record, the Filename onto the Form and complete all other details and post it with a donation as suggested on the Research and Family History Enquiries Page to The Research Co-Ordinator, Christchurch History Society, The Porch Room, Priory House, Christchurch, Dorset, BH23 1BX. Volunteers have started to scan in the items from the Archive, so you might be able to see an image of the item in which you are interested in the future. With the extensive Christchurch History Society Archive available to the Society it is extremely well equipped to carry out research into any activity, event or person that has connections to Christchurch and its Environs. For more information go to the Research and Family History Enquiries Page by following the link. Do you have a relative or person of interest that you want to look into the family history of that was born, lived or died in Christchurch then the Society has experts who can carry out research for you. At present there are only a few records available to download from this website. The Society is considering what other records it should make available online – please let us know what you would find useful. The Christchurch History Society Archive in the Porch Room can be visited by prior appointment. Our Volunteer Researchers will have the documents you request waiting for you in the order that you indicate, one at a time. Only the authorised Volunteer Researchers are allowed to source the documents from the archive racking, and they reserve the right to request that gloves (provided on loan by the Society) are worn if the archival material is to be touched. Furthermore, the Archive Co-Ordinator and the Research Co-Ordinator have the right to deny access to any archival material. At the current time, if the enquirer does not know what archival material they require to inspect and cannot find it in the on-line catalogue, it is necessary to follow the Research Enquiries way of utilising the Christchurch History Society Archive. Improvements are planned but are governed by available volunteer time. As well as the on-line archive catalogue, the Christchurch History Society has microfilm copies of The Christchurch Times from 1861 to 1918 and from 1925 to 1983 which is the majority of the duration of its publication. The paper was not published from 1918 to 1025. Limited microfilm copies of The Christchurch Times from 2nd January 1858 to 29th December 1860 are also available. An index of surnames of people in Christchurch and the surrounding villages have been transcribed from original copies of The Christchurch Times into a searchable database, holding over 153,200 names, for the years 1855 to 1938. If you wish to locate a person then visit the Christchurch Times Names Index. Once you have identified the surname and the decade(s) in which you are interested then please download the Request for Research Form and complete and post the form with a donation as suggested on the Research and Family History Enquiries Page to The Research Co-Ordinator, Christchurch History Society, The Porch Room, Priory House, Christchurch, Dorset, BH23 1BX. Our volunteer researchers will find out what they can and reply to you. A second index of 33,300 entries is also available that records events that have appeared in the newspaper for the years 1855 to 1938. Categories such as businesses, charities, Christchurch Union Workhouse, churches, education, entertainment, farming, fishing, houses, medical, military, politics, societies, sports and town are included. If you wish to know if there has been an article in The Christchurch Times about an event then please download the Request for Research Form and complete and post the form with a donation as suggested on the Research and Family History Enquiries Page to The Research Co-Ordinator, Christchurch History Society, The Porch Room, Priory House, Christchurch, Dorset, BH23 1BX. Our volunteer researchers will find out what they can and reply to you.